Location!Location!Location! 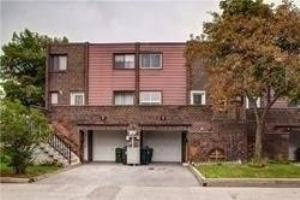 Unique, Spacious & Bright Townhouse In The Heart Of North York! Renovated Kitchen With Newer Appliances & Quartz Counter Top. Freshly Painted! 1700 Sqft Of Livable Space. 3 Lovely And Spacious Bedrooms With 3Pcs Ensuite In Master. Beautifully Backing Onto Green Space. 2 Side By Side Underground Parking Spots Conveniently Located Beside House Entrance. Steps To Ttc, Restaurants & Shopping. Family Oriented Community! !